Is anyone else bored with their school's 1970's lab safety video and classic tour-of-the-science-lab routine? I know I am. 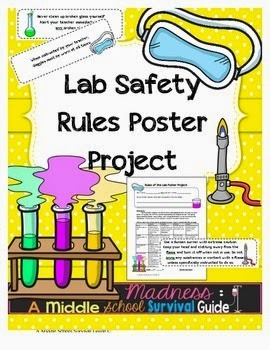 Student pairs are given a lab rule and make a poster. Graded with a rubric (and students self-assess). 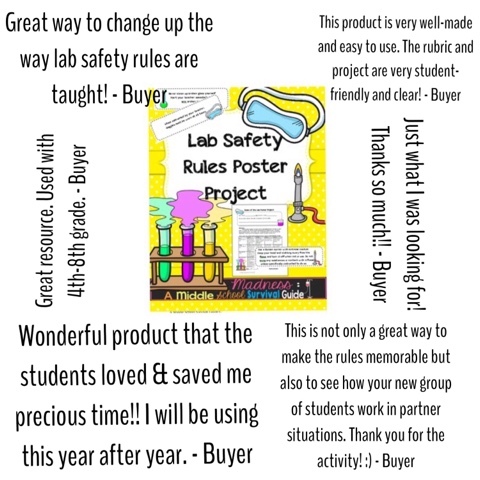 I love it for a great way to have student work collaboratively early in the year, which is a skill they will need for the science lab. it is also a great way to decorate the classroom with student work early in the year! 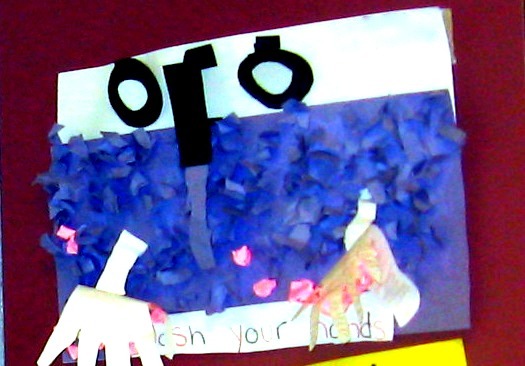 Here is a sample of a student's project hanging in my classroom. It isn't an example of an A+ project (the project lacked strong communication of the rule verbally...) but it is a great example of creativity with materials and showing the rule visually! Here's a picture of the baggies I pass out to the small groups. Students read the story and list as many broken lab rules as they can can find. In the end, they should find about 20 broken lab rules. Cartoon & Cartoon Video ...I just use both as warm-up activities during the first week and give the students a written question, such as: "List 3 lab rules that were broken." or "List 3 lab rules that were followed." Students must pass with 90% to be allowed in the lab. An example of interactive practices quizzes can be found online here. Much more entertaining than than the classic lab-safety-videos. Do you have a printable available of the matching activity? It looks like fun! Is there a link to The Matching Activity? Thanks! !